Welcome back Whimsy fans! Our challenge this month is Anything Goes! My grandmother is a "master" gardener. I can remember her coming to plant the flowers at our house every Spring. My job was to fertilize each plant as she put it in before she put the dirt back around it. I took this job very seriously and I loved spending time with her and watching her meticulously plant each flower. 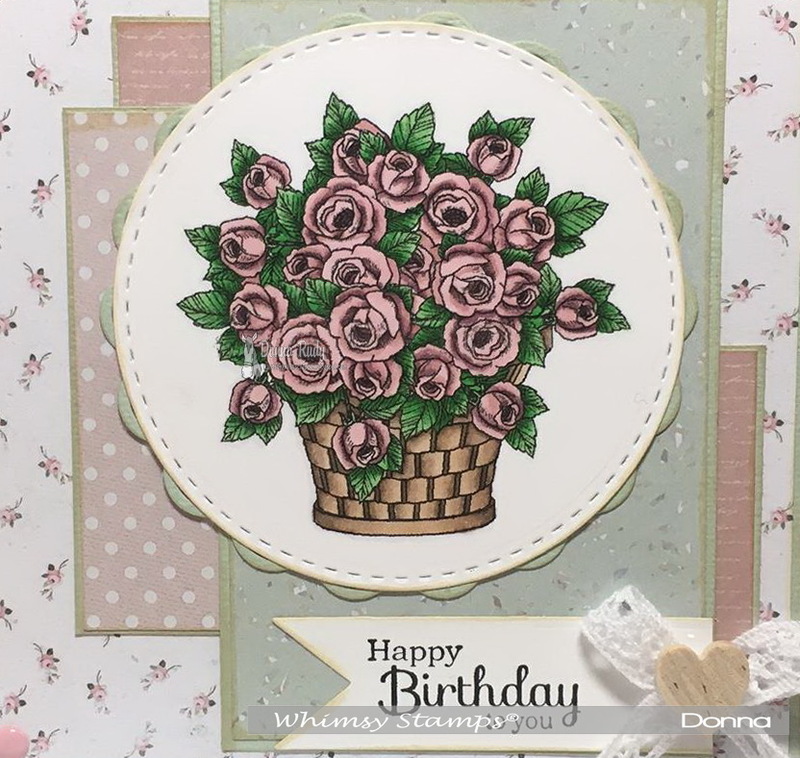 Her 95th birthday is coming up later this month and my mom asked me if I would make a card for her - of course I said yes! 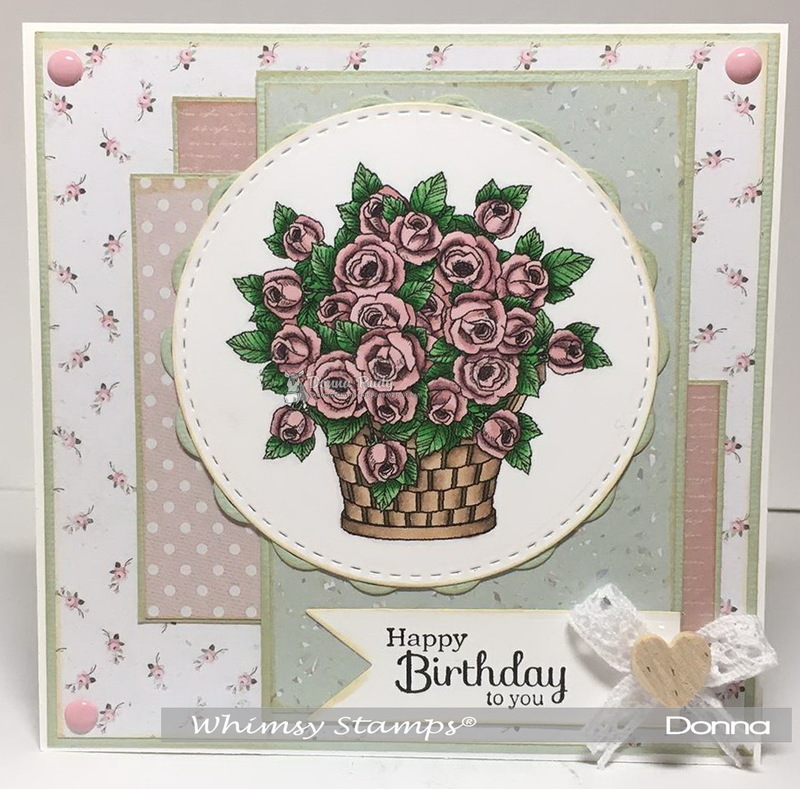 I knew it had to be flowers and the Friendship Garden 2 Sentiments set was perfect for my card. Grandma is bed ridden now but she still loves her flowers! 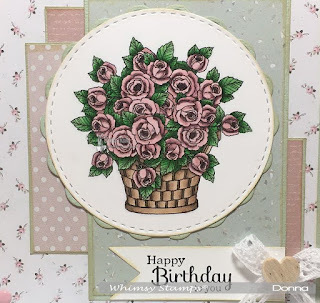 I started by printing my digital stamp to the size I wanted for my card and coloured it with Spectrum Noir alcohol markers. I cut it out using a classic circle die and added some stitching marks. the circle and paper edges are all inked with antique linen distress ink. Some cotton lace ribbon, a wooden heart and some enamel dots finish off my card.